*CFP Board is a nonprofit certification organization with a mission to benefit the public by granting the CFP® certification and upholding it as the recognized standard of excellence for personal financial planning. 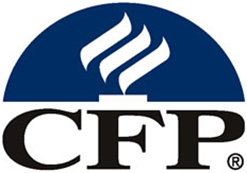 CFP Board owns the certification marks CFP®, Certified Financial Planner™ and federally registered CFP (with plaque design) and CFP (with flame design) in the U.S., which it awards to individuals who successfully complete initial and ongoing certification requirements. CFP Board currently authorizes more than 67,000 individuals to use these marks in the United States. For more about CFP Board, visit www.CFP.net.